The Float 27 Speed avalanche airbag is designed for close-in backcountry riding and features the new Float 2.0 system. Creating buoyancy and helping you float to the surface, the 150-liter airbag not only decreases your burial depth but also protects your head and neck from trauma in an avalanche. 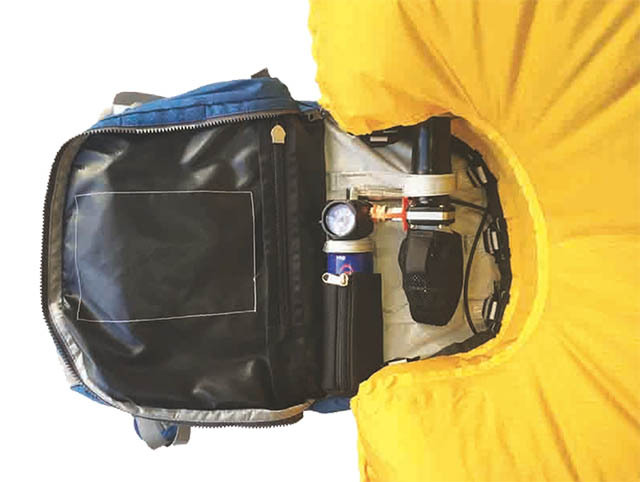 The Float 27 Speed is nearly 30 percent smaller and 15 percent lighter than the Float 1.0 engine, the Float 2.0 engine fits inside the Float airbag compartment, freeing up more valuable space in the main compartment. 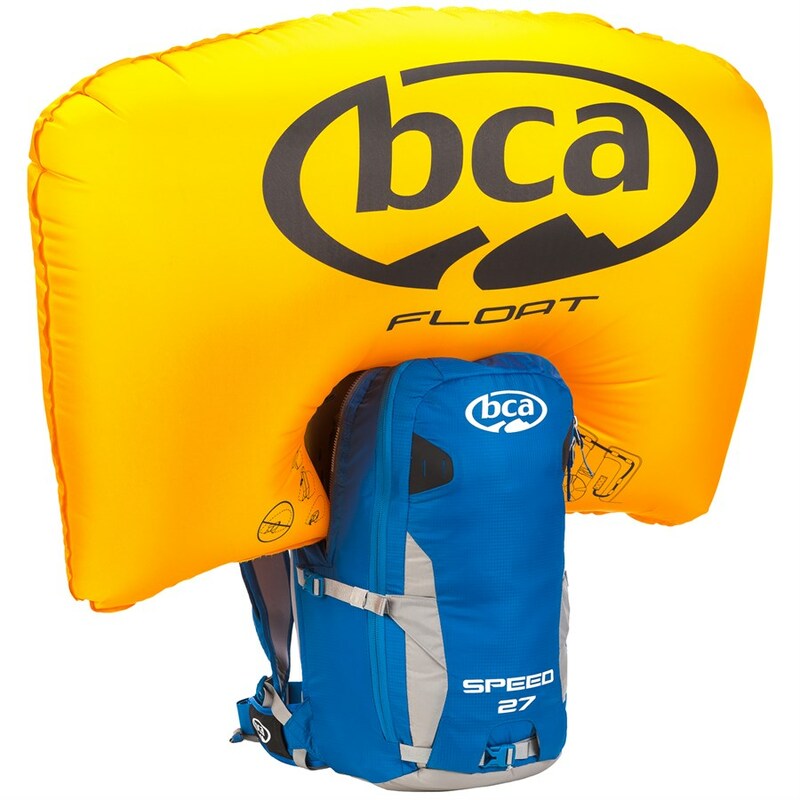 Between the sleek new Float 2.0 engine and the svelte new packs, BCA has shaved 20 percent off the weight of our Float 1.0 system. Rental units are shipped with an EMPTY air cylinder. You cannot take a filled cylinder on a commercial airline, either checked or carry on, so plan ahead. It is often difficult to find a place to have the cylinder filled – we have a limited number of SCUBA/Paintball Fill adapters for a small extra charge. This adapter allows the cylinder to be filled using a SCUBA tank, which should enable you to have the cylinder filled at any SCUBA shop, or off of any SCUBA tank. Choose to add to your order during booking. Cylinders must be emptied before shipping back using the prepaid return label.